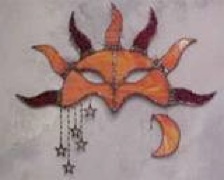 Sun Mask in red and orange glass with crescent moon and stars detail. 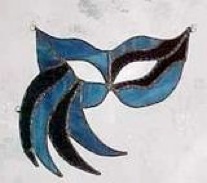 Blue and Black asymmetrical wall mask. 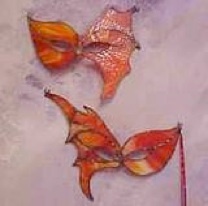 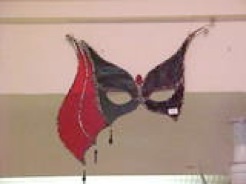 Dragonwing wall masks in red and orange glass. 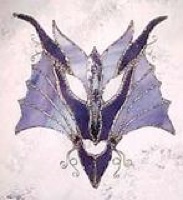 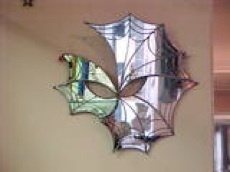 Dragon Face Wall Mask in various purple glass with metallic details. 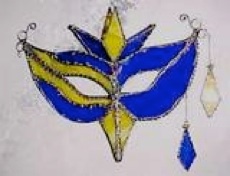 Festive Yellow and Blue wall mask with glass details.